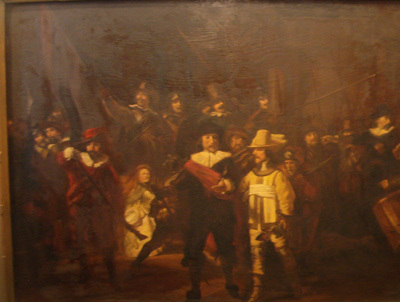 As seen on the movie Ocean's Twelve, Rembrandt's "Night Watch". This is an artists' rendition by Josef Israels. The original painting is oil on board and is circa 19th century. Please call us at (949)673-4904 or e-mail us at peterjart@hotmail.com if you are interested.